We have been lucky enough to have great support and positive feedback from some of the masters of the drumming and percussion world. 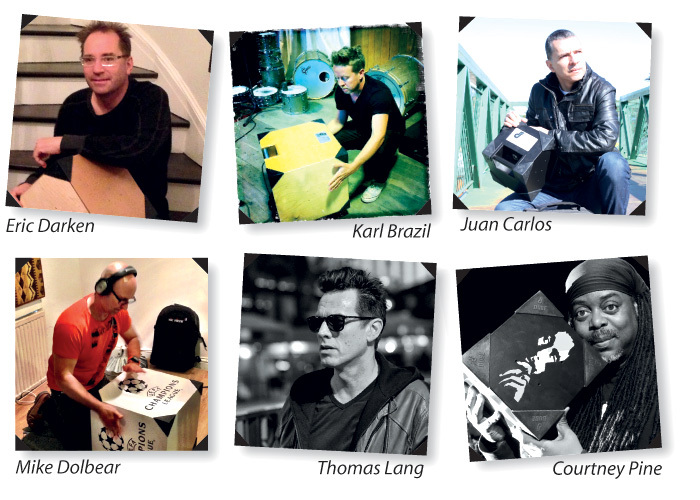 Here is a selection of our endorsees and what they think of the Dube. "The Dube is a new, innovative instrument – funky and with different pitches within the same box that allows you to enjoy rich rhythms with a distinct sound. I really enjoy playing the Dube." "The Dube is one of the coolest new instruments I have played in a long time. I love the tones and options it provides me." and Percussionist for Jimmy Buffett. "Having used the Dube in the studio for the second time the first on my Europa album and now on my House Of Legends project I still feel that it is a remarkable new instrument that anyone of any age or musical ability can play. It is very versatile, sounds great and is a blast to play and yes it's fun to. I have seen the DUBE in many concert situations across the UK and everyone that sees it remarks on how great it is, if you love music you will love Dion Dublin's DUBE"
"I love the Dube as its a unique percussion instrument that performs like no other from the UK, I have used it in the studio and also been able to mount it onto straps to use mobile which with the 4 different sizes gives a variety of different sounds when used in a percussion group surrounding."